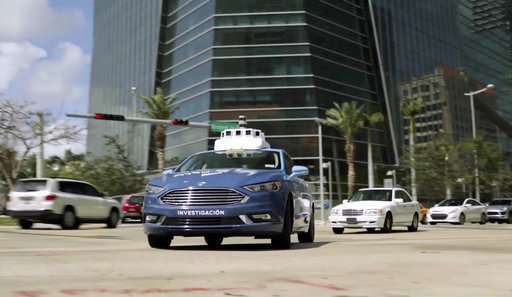 Ford Motor Co. is making Miami-Dade County its new test bed for self-driving vehicles. The automaker and its partners—Domino's Pizza, ride-hailing company Lyft and delivery company Postmates—are starting pilot programs to see how consumers react to autonomous and semi-autonomous vehicles. Self-driving startup and Ford partner Argo AI already has a fleet of cars in the area making the highly detailed maps that are necessary for self-driving. Ford also will establish its first-ever autonomous vehicle terminal in Miami, where it will learn how to service and deploy its test fleet. More services will likely be introduced as the partnership goes on, including Chariot, an app-based shuttle service owned by Ford. It's all part of Ford's effort to find viable business models for fully autonomous vehicles and get them on the road by 2021. "This is, I think, the future of any automotive company or mobility company. If a majority of the world's population is going to be living in cities, we need to understand how to move those people around," said John Kwant, Ford's vice president of city solutions, who inked the deal with Miami-Dade. Ford isn't the first automaker to run test fleets of autonomous vehicles. General Motors Co. will start testing autonomous vehicles in New York City this year, while Nissan Motor Co. is launching an autonomous taxi service in Yokohama, Japan, next week. Technology companies like Waymo—a division of Google—are also testing self-driving vehicles on public roads in Phoenix, San Francisco and Singapore, among other cities. But the partnership with a specific metropolitan is less common. Both sides envision a deep relationship where Ford can help Miami-Dade solve specific issues, like how to most efficiently move people from its suburbs to its downtown monorail, and Miami-Dade can offer solutions like dedicated lanes for automated vehicles or infrastructure projects like advanced traffic lights that can send signals to connected cars. "We want to be on the forefront of this because we want to give our people choices," said Carlos Gimenez, the mayor of Miami-Dade County, which is home to 34 cities and 2.7 million people. 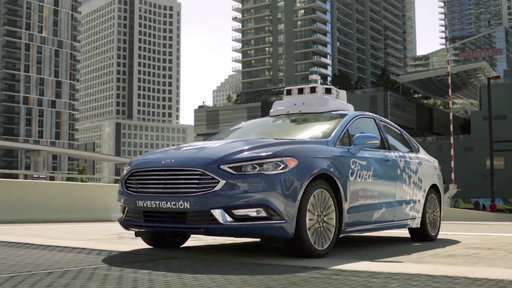 Sherif Marakby, Ford's vice president of autonomous vehicles and electrification, says the company also intends to work closely with local businesses. The company wants to learn, for example, how a florist might use an autonomous delivery vehicle. "Autonomous vehicle technology is interesting, but it's a whole lot more interesting with a viable business model," he said. The city of Miami is the fifth-most congested in the U.S., according to a recent traffic study by the consulting firm Inrix. After more than a century of selling people vehicles, Kwant says Ford now wants to figure out ways to move people more efficiently in order to cut down on that time in traffic. Sam Abuelsamid, a senior research analyst with the consulting firm Navigant Research, says Ford and others must figure out how to make money on self-driving cars. "If this does take off, if people do adopt automated vehicles and use them for ride-hailing, that's going to result in a decline in retail vehicle sales," Abuelsamid said. "They need to figure out, if we're going to have a decline in the number of vehicles we sell to consumers, how do we keep our business stable?" 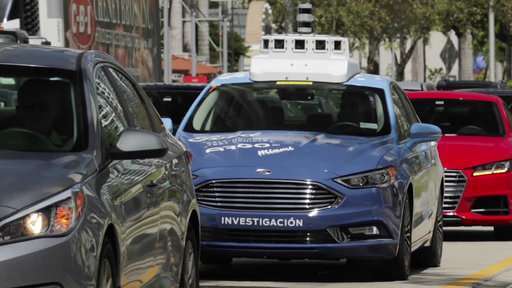 Kwant says the testing will also help Ford determine what its future self-driving vehicles need to look like and how they must perform. "If you don't have steering wheels, how do you begin to use that package space? How do you begin to look different in terms of carrying more people?" he said. 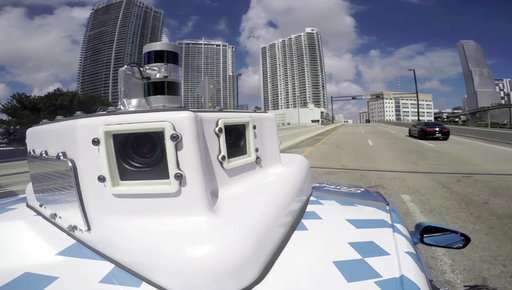 Ford won't say how many vehicles it will have on the road in Miami-Dade, but says it will be Ford's largest test bed for autonomous vehicles by the end of this year. All of the vehicles will have backup safety drivers. Domino's experimental vehicles aren't even technically autonomous; they're equipped to be, but for now they have actual drivers. The windows are blacked out so customers can experience how to get pizza from the car without dealing with a person. Miami will give Ford new challenges. Previously, it tested Domino's cars in suburban Michigan, where parking wasn't an issue. But in busy Miami Beach, the cars will have to figure out where they can go to allow apartment-dwellers to safely retrieve their pizzas. An autonomous delivery vehicle from Postmates might have to switch between Spanish and English commands when it picks up a meal and delivers it to a customer. Self-driving Lyft vehicles will be tasked with mapping out the best places to wait for customers without causing more traffic headaches. Kwant says Ford will announce more city partnerships as this year progresses. But Miami-Dade was a natural, since it has good weather, lots of different urban and suburban terrain and support from Gimenez and other government leaders. Gimenez, who began talking to Ford in 2017 at the Consumer Electronics Show in Las Vegas, says he's not worried about consumer acceptance of self-driving cars. He thinks his community will embrace them as companies prove that shared autonomous vehicles can be cheaper and safer than regular ones. Gimenez says self-driving vehicles also can potentially improve traffic flow without significant new investments in roadways. They can travel more closely together, for example, because they're always watching the car in front of them and can brake automatically. "That's why I'm really high on this technology," he said. To make money off this venture is not by focusing on driving inside Cities. Better Scenario: Passenger gets into a spacious Bed inside a Car that reaches his home, say at night time. Sleeps in it, Wakes up at his DESIRED destination in a DIFFERENT City. (A driver may pick him up, get out before car hits highway....Another Driver may pick him up at the end of the highway in that new city). Thus, Safety is doubled up (Of course, Remove those Drivers when technology heats up). Passenger will be in deep sleep all the time OR Watching his favorite TV/Attending to Important Professional Duties !